Commercial Vehicle Wreckers are one of the Australia’s leading buyers of used commercial vehicles and trailers. We offer no obligation valuations of all makes and models of trucks and trailers. Sydney truck dismantlers have the buying power to purchase anything from a single unit to entire fleets. Selling to us is straightforward, we value, pay and collect all equipment immediately and pay the very best prices possible for your equipment. There are only a few places in Sydney who give you the opportunity to sell your truck with just one call. And Top cash for truck is one of them. We don’t required your truck to be in running order or registered. We just need truck. Leading Commercial Vehicle Wreckers So we can just tell you here that we offer up to $19000 for all sort of trucks depending. And we believe in our quotes and we can proudly say you that our prices are unbeatable. That is why we are also called as top paying and top buying company in Sydney. We are buying all Japanese, European, Korean and Chinese used, old, junk, unwanted and scrap trucks from last decade. So if you want to sell your truck without any trouble, then give us a buzz on 0401 009 994 . Disposing of a commercial truck can be expensive and difficult. Whether you’re a business or an individual, and whether you want to get rid of one truck or a whole fleet, Truck Scrap Yard Auckland will pay top dollar for your commercial trucks. 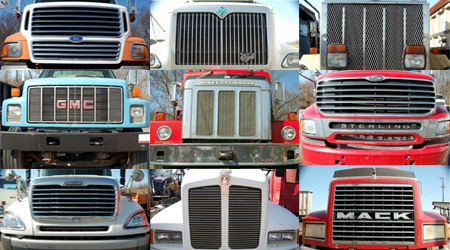 Commercial Vehicle Wreckers buy trucks in any condition. It doesn’t matter to us why you want to get rid of your trucks. It only matters that your experience with us is first-rate and that we make you offer that exceeds the competition’s. We professionally dismantle late heavy trucks for spare parts, As Environment Agency licenced truck breakers located in Sydney we specialize in spare parts for Volvo, Daf, Iveco, Mercedes, Renault, Scania, Man, Mitsubishi Canter, Isuzu and Hino. The following links may assist you to find the nearest scrap truck buyers in NSW Australia: Sydney truck wreckers, Paramatta truck wreckers, Wollongong truck wreckers, Newcastle truck wreckers, Canberra truck wreckers. Penrith truck wreckers. This entry was posted in Fleet and tagged Canter Commercial Wrecking, Commercial Vehicle Buyers, Commercial Vehicle Recycling Sydney, Commercial Vehicle Salvage, Commercial Vehicle Scrapyard, Commercial Vehicle Wreckers, Commercial Vehicle Wreckers Penrith, Commercial Vehicle Wreckers Sydney, DAF, Hino Commercial Vehicle Wreckers, Hino Commercial Wrecking., Isuzu Commercial Wrecking, Iveco, Man Commercial Wrecking, Mazda Commercial Vehicle Wreckers, Mercedes Commercial Wrecking, Mitsubishi Commercial Vehicle Wreckers, Mitsubishi Commercial Wrecking, Nissan Commercial Vehicle Wreckers, Renault Commercial Wrecking, Scania Commercial Wrecking, UD Commercial Vehicle Wreckers, van salvage yennora, van wreckers near sydney, van wreckers sydney, Volvo on January 31, 2017 by Topcash.